Gareth is an Associate within our Employment Team. He provides practical, timely and cost effective advice to businesses and individuals on a full range of employment issues. After studying law at Durham University, Gareth qualified as a Solicitor in 2007, joining our Employment Team in February 2016 having previously been Head of Employment Law at another local firm. Gareth is highly respected within the local business community, and has gained a wealth of knowledge and expertise over 11 years of practicing employment law. Gareth advises both employers and employees on all employment law issues, and specialises in offering support and assistance with complex disciplinaries, grievances and dismissals, with a particular focus on managing high-level exits. His practical and down to earth approach has helped guide many clients through the difficulties and complexities of the employment law minefield. Gareth also assists companies with drafting and implementing employment contracts and policies tailored to suit their needs. He assists employees and employers in the drafting and negotiation of settlement agreements, and is often praised for his pragmatic and timely advice in such situations. 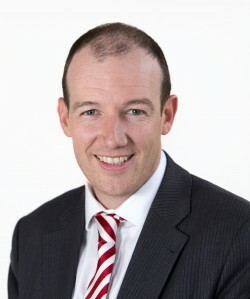 In addition, Gareth is well-recognised for providing excellent Employment Tribunal representation for both individuals and businesses in a wide variety of cases, ranging from redundancy and unfair dismissal through to complex discrimination cases, and often conducts his own advocacy. He also has expert knowledge of the education sector through his work with numerous schools, academies and MATs. Just a quick email to thank you for all of your advice and support throughout this process. You are an absolute credit to your profession and your law firm. You will, without doubt, be receiving future recommendations based on your work ethic, honesty and pure professionalism. Superb, technically competent and personable lawyer. Known for his work on sensitive redundancy issues, Gareth Stevens is 'a fighter for his clients' cause, often achieving great results. Gareth Stevens is particularly good at making clients feel at ease and coming up with solutions they can understand and move forward with.